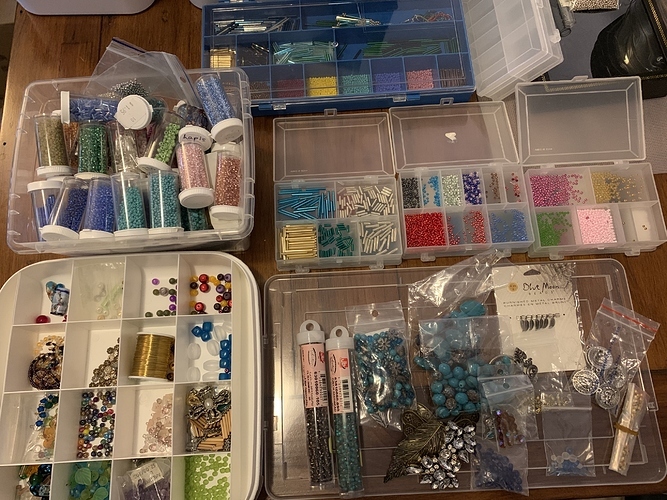 Beads: Mostly seed beads, some misc. Fabric: Unused pieces, mostly 1-2 yards, some possibly smaller. Wool, silk, and knits. Definitely interested in some fabric for an upcoming workshop I’d like to do. If I can provide some fabric it would lower costs for participants.